Please be advised if you are taking an Alberta Distance Learning Centre (ADLC) class through Vista Virtual School (VVS), you need to complete that course by June 30, 2019. In most cases, extensions are not available. VVS contracts ADLC’s services for some courses, and the ADLC has set June 30 as the completion date for all its courses for school-aged students. This end date was previously communicated to ADLC students in September 2018. Note: Please make sure to have your course finished by June 21 (including all assignments and exams) to ensure marking has been completed by the end date. 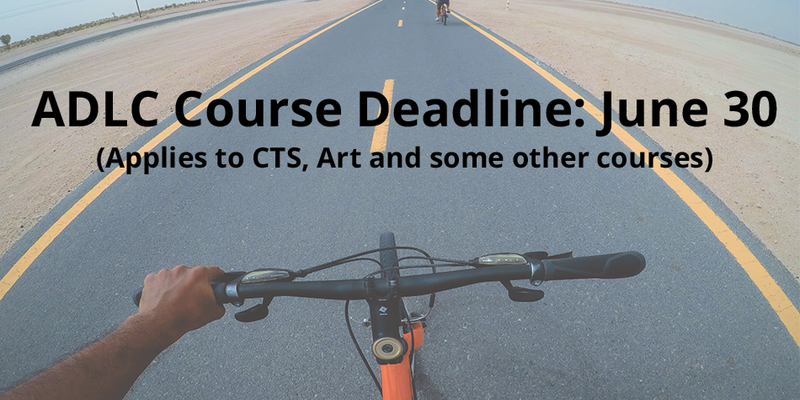 This deadline does not apply to VVS courses. This generally applies to school-aged VVS students enrolled in optional courses such as CTS and Art, and some other courses (if the student is block-funded). It is specifically for courses contracted by VVS through ADLC. We are sending an email to affected students by February 15. For new students registering in these courses, a note has been added to the course catalogue (to confirm you have until June 30 to complete the class). As such, the last date a VVS student can register in a related course through ADLC each year will be April 1 (and they must complete their course by June 30). If you have any questions, concerns, or want to confirm if this applies to you, please contact Associate Principals Treena Bradbury or Frank McCallum or Principal Mike Loitz.